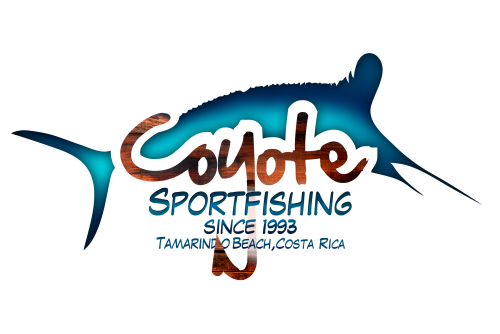 Coyote Sportfishing has been operating in Tamarindo since 1993 and since then, they have strived to provide an exceptional fishing experience for guests of all ages and skill levels. 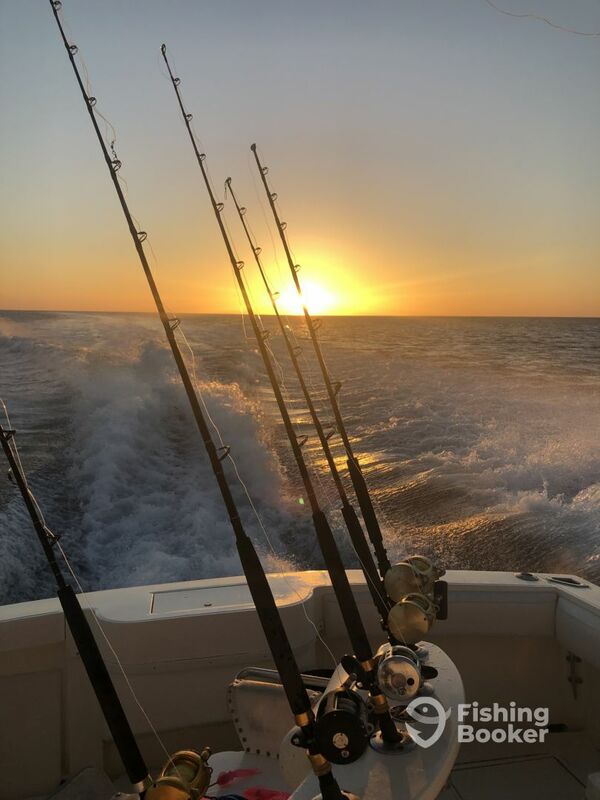 Their main goal is that you enjoy the art of fishing. 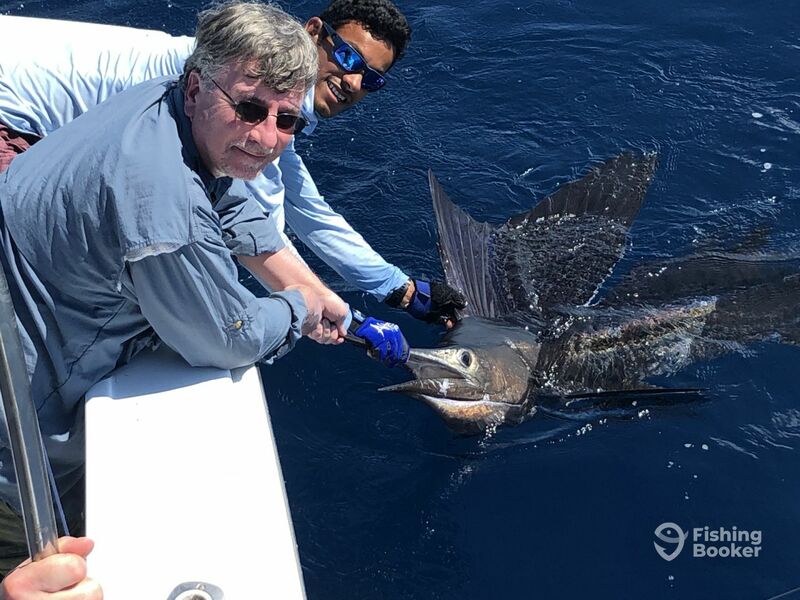 Offering excellent customer service is what they are well known for and their boats are to match every budget – they want your time fishing in Costa Rica to be incredible! 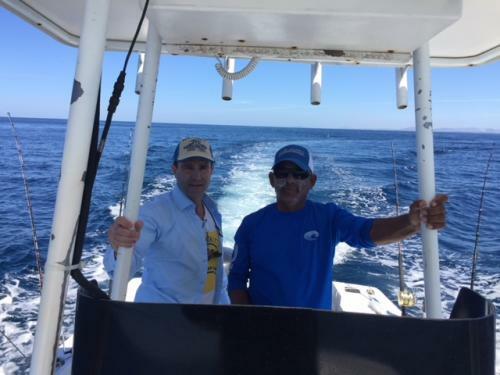 We had an excellent day fishing with Frank, Mario and Isaac on the 37’ Carolina Classic Coyote Tres. Frank was very personable and professional and did a great job communicating with us on where to meet and he was there promptly. 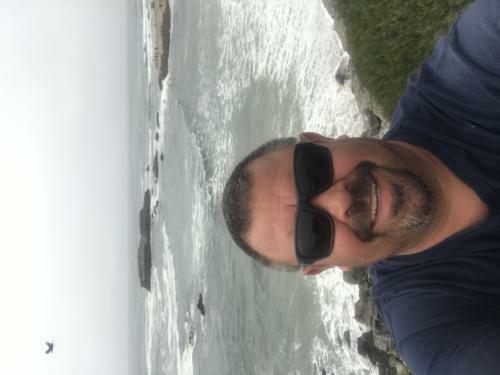 From there, he and his able crew quickly tendered us out to the Coyote Tres, which was in great shape and well prepared. Frank introduced us to the crew Mario and Isaac whom were very personable and professional. Frank explained our strategy based on the conditions and quickly got us underway. 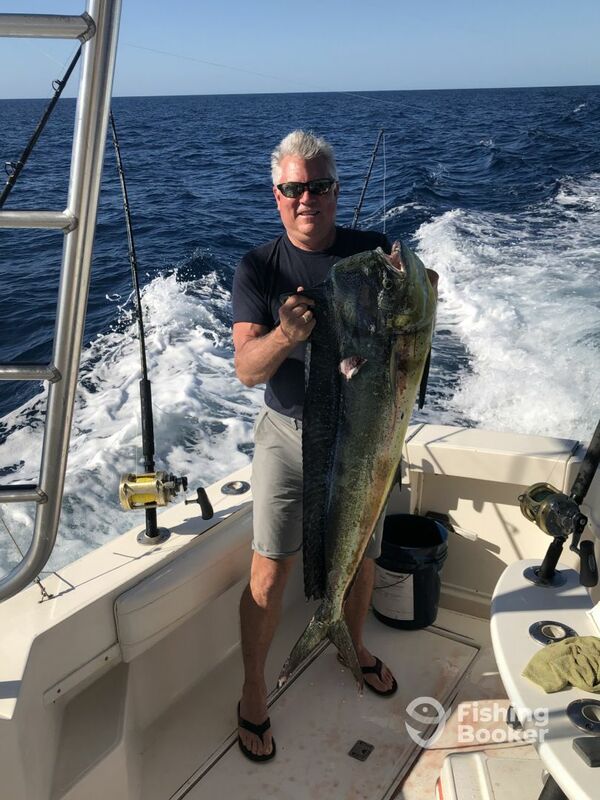 The wind was up and conditions rough around Tamarindo and North so Frank took us south where we soon found calm waters, perfect conditions and quickly started catching fish, 4 nice Mahi and 2 large sailfish in total. 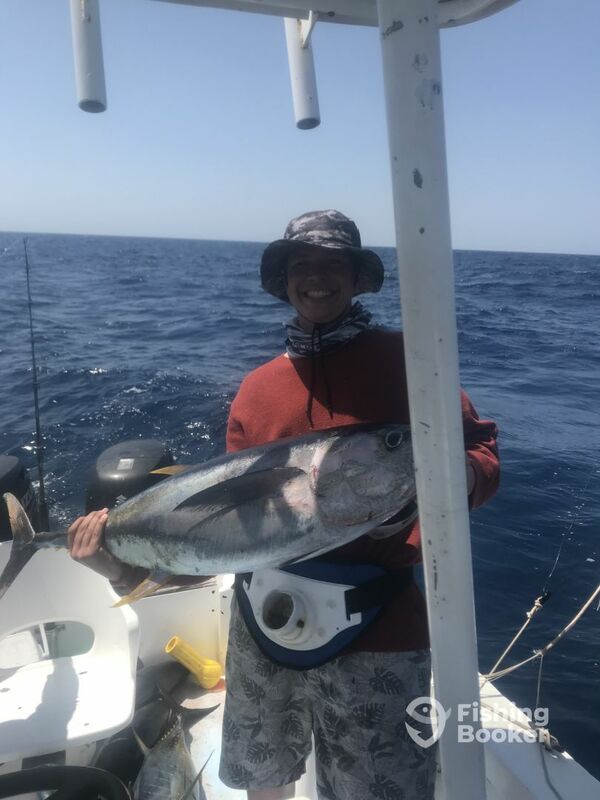 Mario and Isaac were very capable, skillful and worked together like a well oil machine in every aspect, from preparing and getting lines out, getting fish on board, cleaning and preparing the catch to keeping the boat clean. 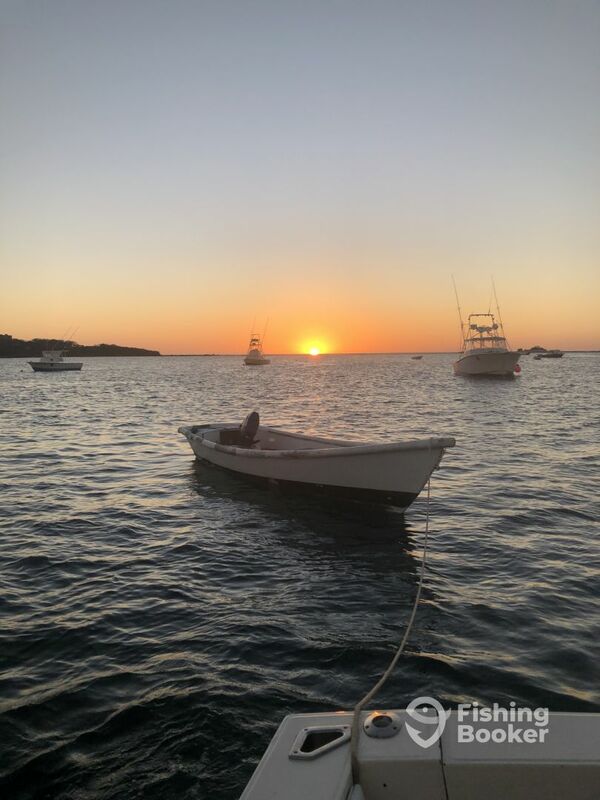 Franks timing on when to return was perfect, offering us a beautiful ride back to port arriving just as the sun was setting providing the perfect ending to a perfect fishing day! Had a great time with Issic and Juan!! Good boat, very good crew! Stood up by our transport that the company arranged! 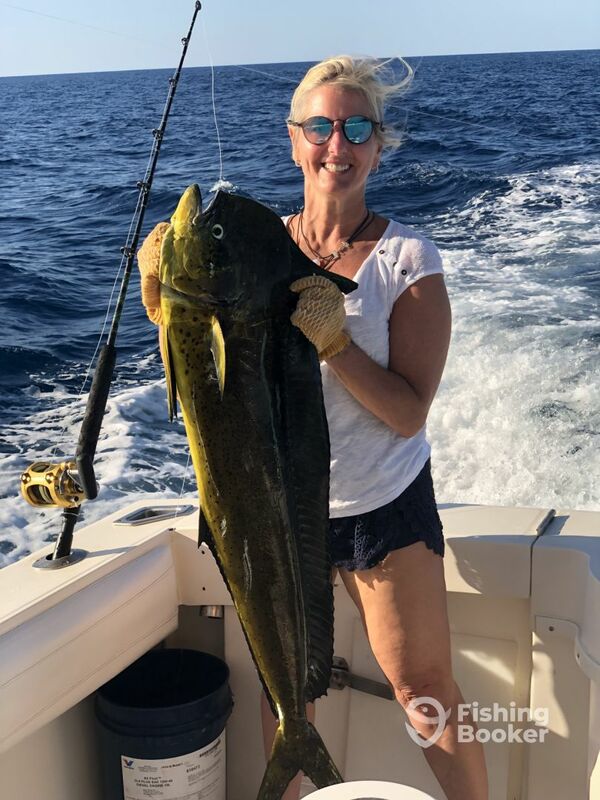 We booked a 1/2 day charter with Capt. Frank 3/27/18. 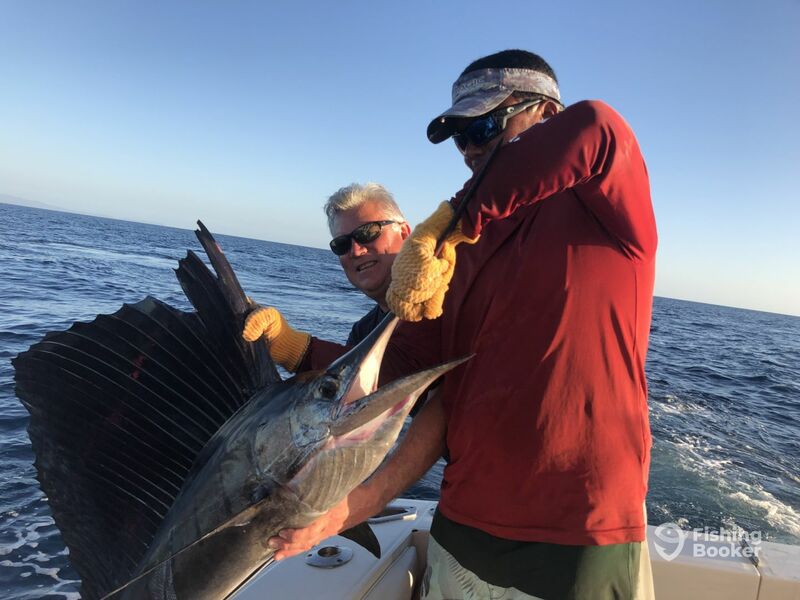 This is still the windy season so we had only expectations of a good day on the water. Capt. Frank did not disappoint us and hooked us up quickly on some bate fish which we trolled in sloppy seas. 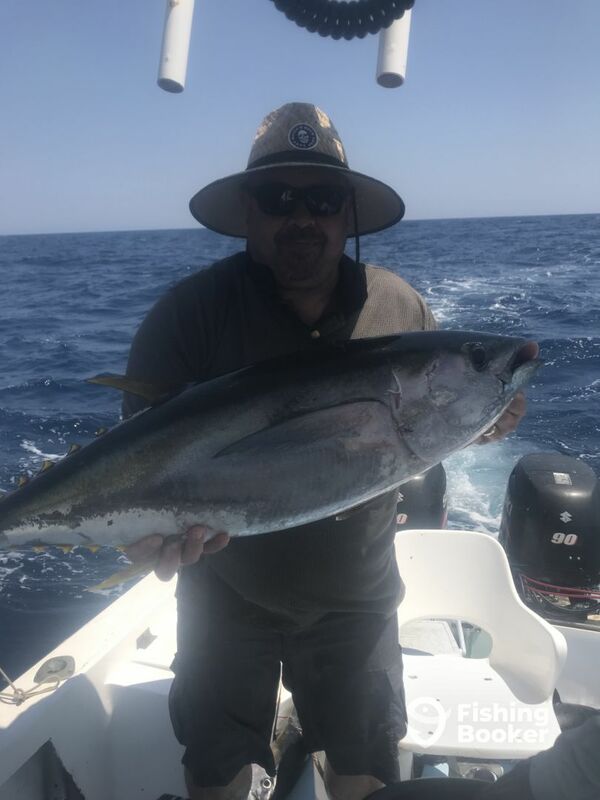 We received reports of smoother water and some possibilities of tuna so we picked up and ran 30 minutes south. We came upon a large pod of Spinner dauphin but no luck with tuna. Captain continued to work hard for a hook up but we were denied. 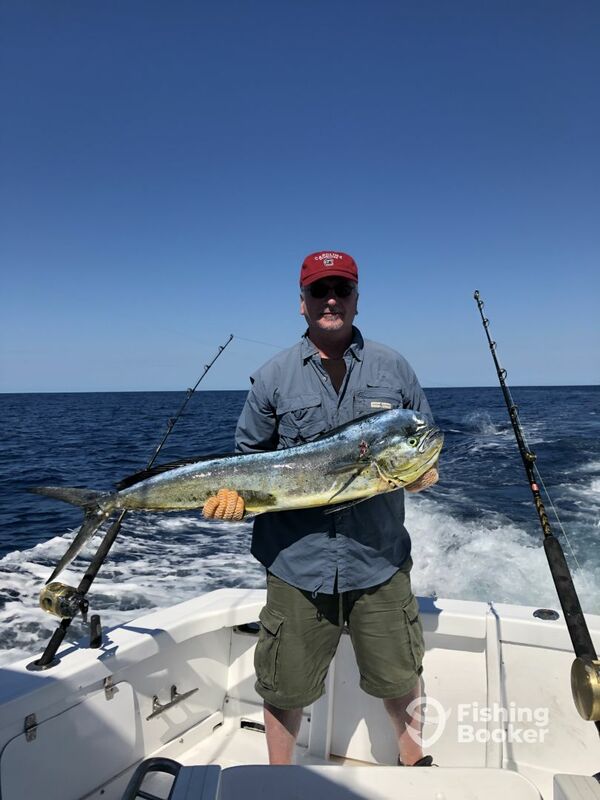 I highly recommend and I will welcome the opportunity to fish with Capt Frank in the future. Frank has a great personality, fun sense of humor, and he speaks excellent english (mush better than my Spanish). Thank you!